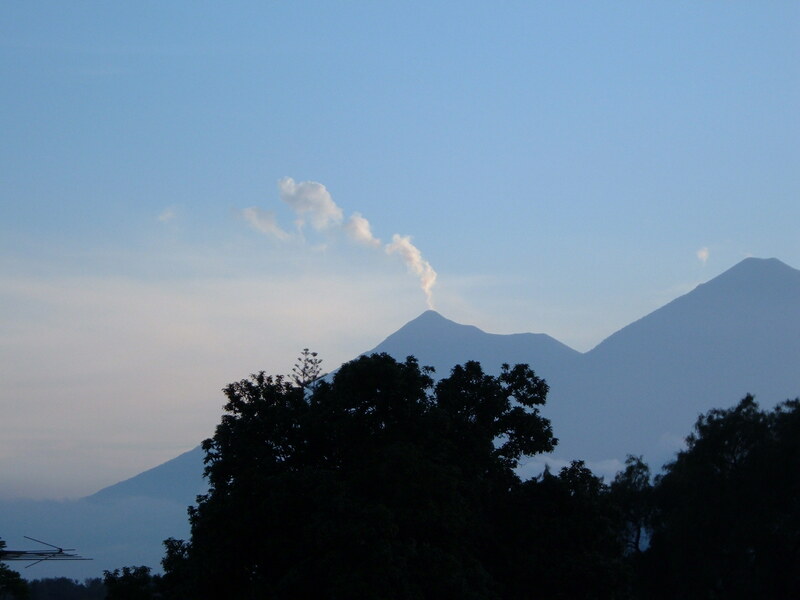 Guatemala is a country steeped in history, culture and mythology. Its landscapes are beautiful and varied – from mountainous areas, punctuated by volcanoes to the green, luscious jungle lowlands. It is a country which is still saddened by its recent past – a 30 year civil war and genocide in the second half of the twentieth century; but the people also find reasons to be truly joyful, kind and welcoming to the many tourists which go there. 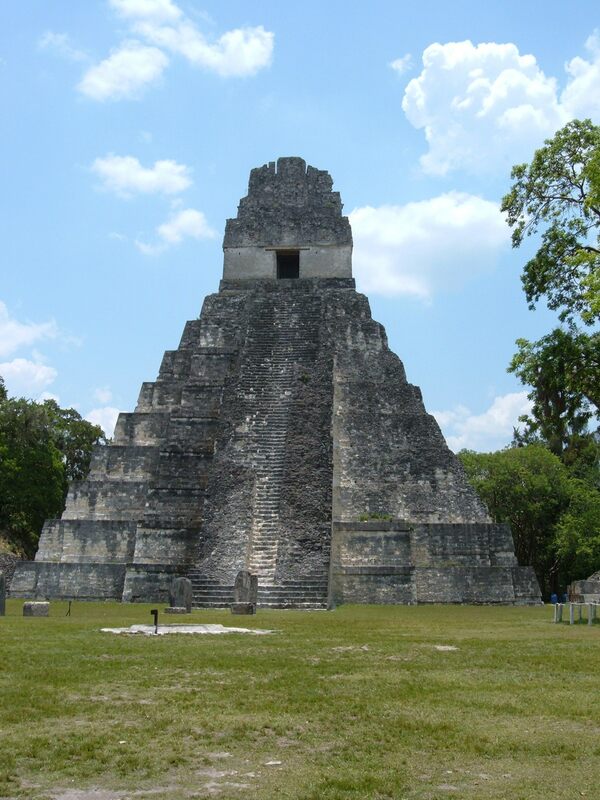 Tikal is a vast site with many temples. Hidden deep in the jungle in the Guatemalan lowlands in the north of the country is a mysterious deserted city. Abandoned by the Mayan civilisation a few hundred years ago, much of this city remains unexcavated. However, the part you can see is still vast – easily enough for a two day tour not to get stale. Climb to the top of the temples and you get an amazing view across the jungle tree tops and can see other structures poking out of the canopy which gives you a real feel for the size of the complex. Go out to watch the sunrise over the jungle from the top of a temple and hear the forest come to life around you as parrots chatter their good mornings. Dodge the missiles spider monkeys like to launch at unsuspecting tourists on the ground, remembering to close your mouth as you look up. Admire the beautiful Queztals – the national bird of Guatemala. A busy market run on Sundays, this little town has much to offer tourists wishing to acquire souvenirs or little treasures to take home. It takes a long morning to cover the full extent of the market and it’s a minefield of people trying to sell you everything from bed covers to clothing to crockery. The list is endless. A riot of colour, it’s worth going to in order to put some money into the local economy, enjoy the bartering and come home with some reminders of local fayre. This part of Guatemala is a quiet and peaceful corner. Go there to take some time out and whilst there visit the caves at Lanquin at nightfall when hundreds of bats fly out for their night-time activities. Spend a morning at the river at Semuc Champey, bathing in the pools and allow a local park guide to take you down the waterfalls to show you where the river does in fact run underground as well as overground, with a natural ‘bridge’ formed over the underground river. From Fronteras take a small boat down the Rio Dulce. It’s a relaxing journey. 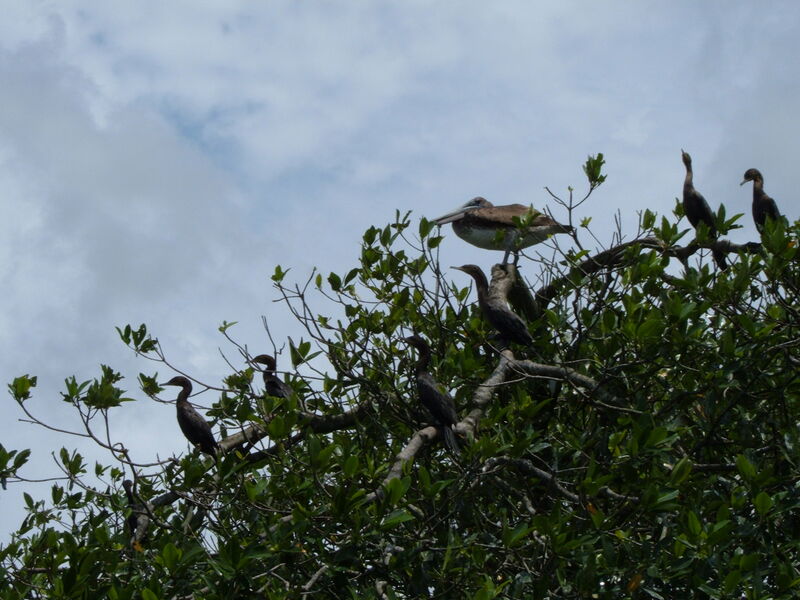 Your boat captain will take you past the island of birds – awash with Egrets, Cormorants and Pelicans. Then you move on to the hot springs. Previously just a warm patch of water at the side of the river where there was a hot spring, now walled off for a more formal area – the mud is supposed to be very good for the skin. The boat ride then takes you through a very spectacular canyon and on into the funky little town of Livingstone. Whilst still in Guatemala, Livingstone feels distinctly Caribbean. A traveller hangout, it’s worth passing through for the experience. Here they will braid your hair, the distinctive smell of weed drifting down the street. Eating out in the little restaurants that line the main street you can be sure of some table side entertainment. 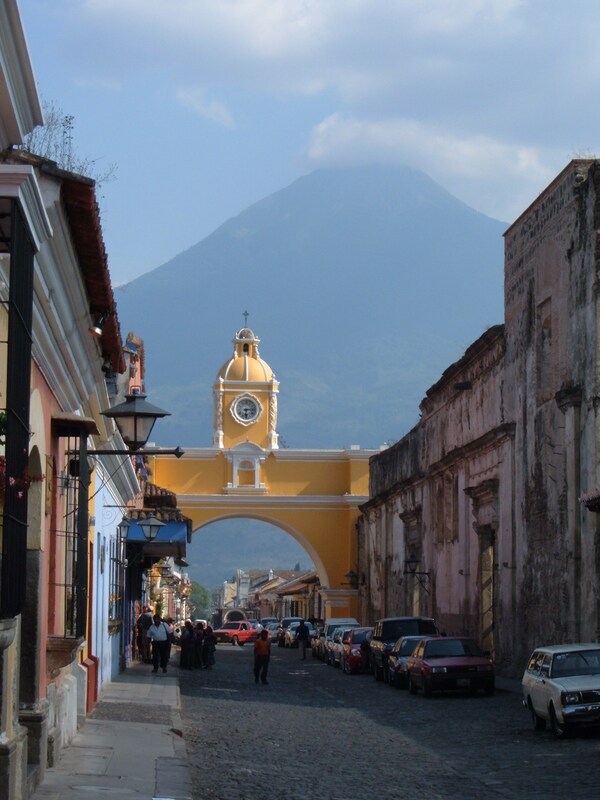 No trip to Guatemala is complete without a few days spent in La Antigua. Most people head straight there from the airport, rather than spending time in the less salubrious capital city. Antigua is a beautiful town, setting off colonial architecture at its best. The local authorities have kept this charm by not allowing buildings over two stories. The town is filled with churches and ruins that are worth exploring. The town square is very pretty and on one edge of the town is a lovely artisan market. 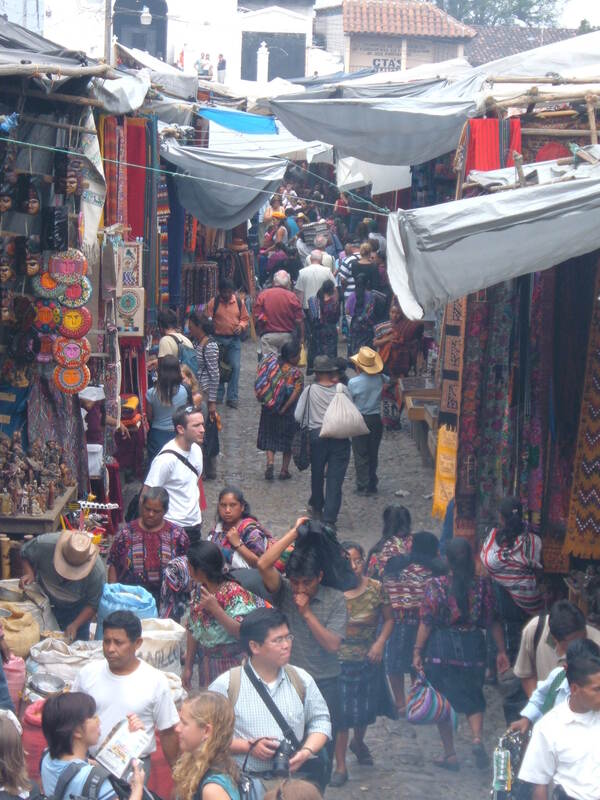 It’s worth walking through the main market alongside and sampling some street food for a slice of real Guatemalan life. Antigua has a number of great restaurants for the evening. It also boasts the largest Easter celebrations outside of Spain and if you happen to be there in holy week, not a day will go by without a procession through the town. During this week they set up stalls in front of La Merced – one of the big churches towards the north of the town – and the food from there is delicious!